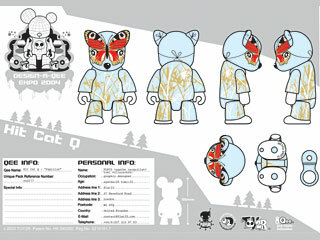 FL@33's designer toy Mr Papillon Kit Cat Qee was one of 20 winning artworks of the competition Design-A-Qee Expo 2004 that had over 1,000 submissions by illustrators and designers. 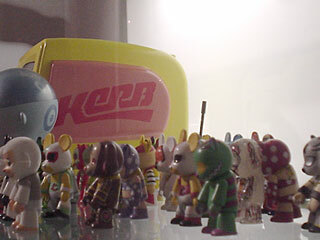 ___ The keychain / toy forms part of the Design-A-Qee UK series that was produced and released by Hong Kong-based Toy2R one year later in the summer of 2005. 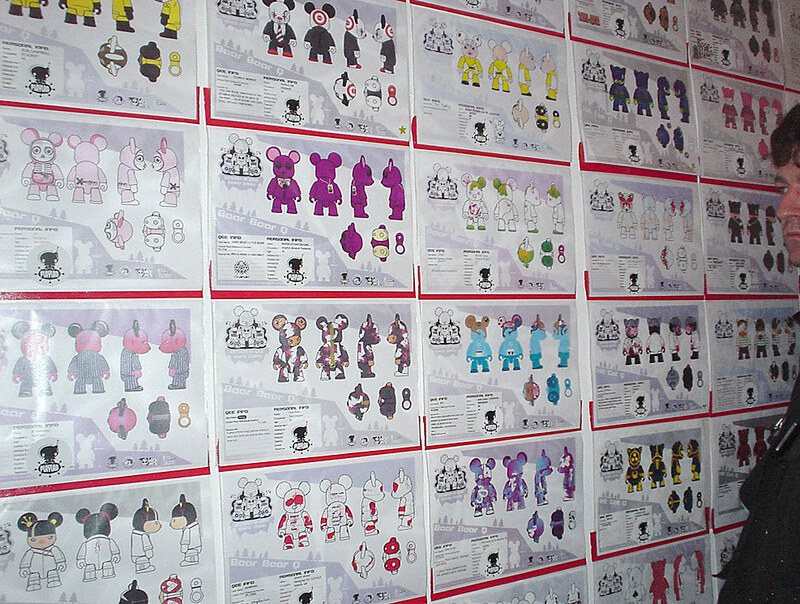 ___ The overall edition for each artwork (or 'skin') was 500 and competition winners like FL@33 received 96 free closed blind-boxed qees with their own design as reward. 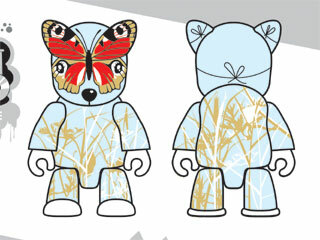 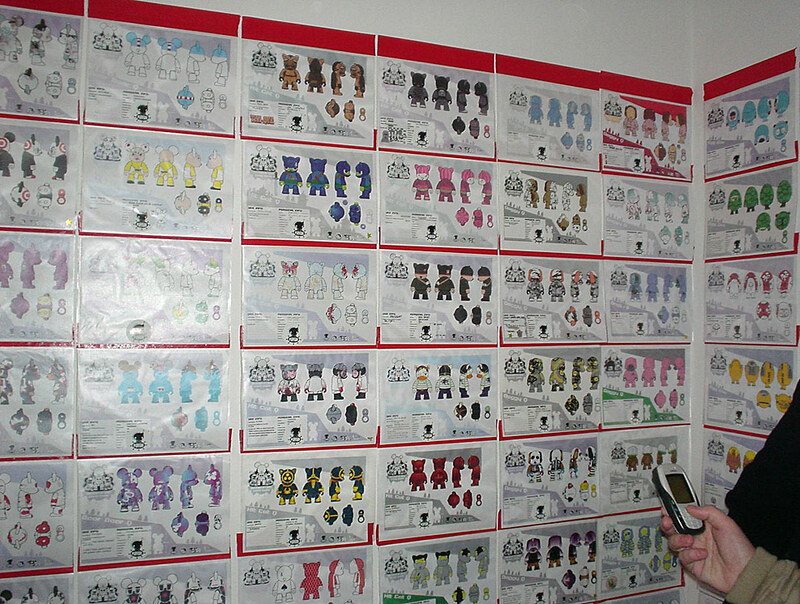 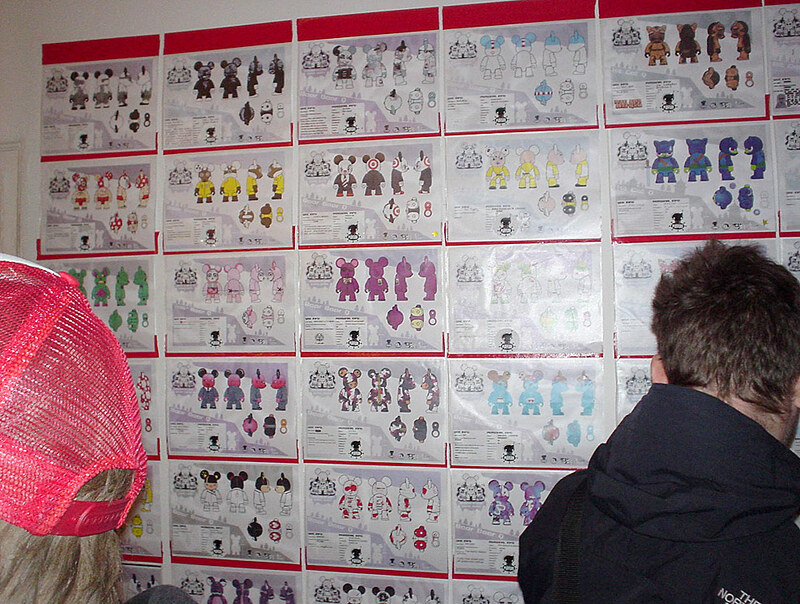 Qees are sold blind-boxed to encourage collectors to swap doubles and basically buy more to complete the collection. 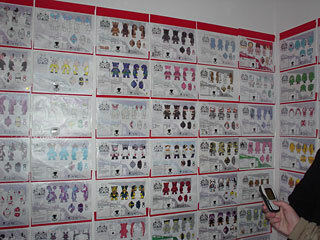 To actually know what is inside a sealed, blind-boxed pack is therefore quite extraordinary and even more so of course when it contains one's own design. 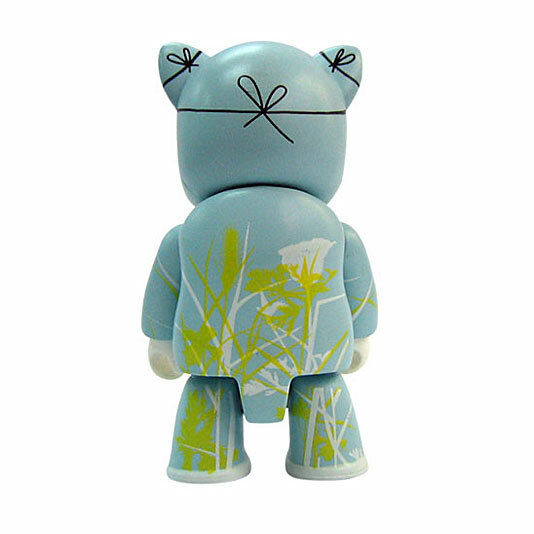 ___ 50 of the closed boxes were signed by FL@33's founders Agathe and Tomi and were exclusively available via online boutique stereohype.com – together with a limited edition button badge and sticker plus assorted postcards. 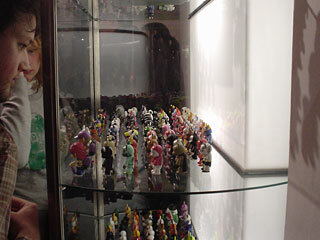 ___ The official Toy2R collection number of Mr Papillon is #573 as indicated on Toy2R's also rather collectible collection postcards. 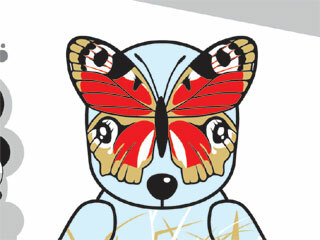 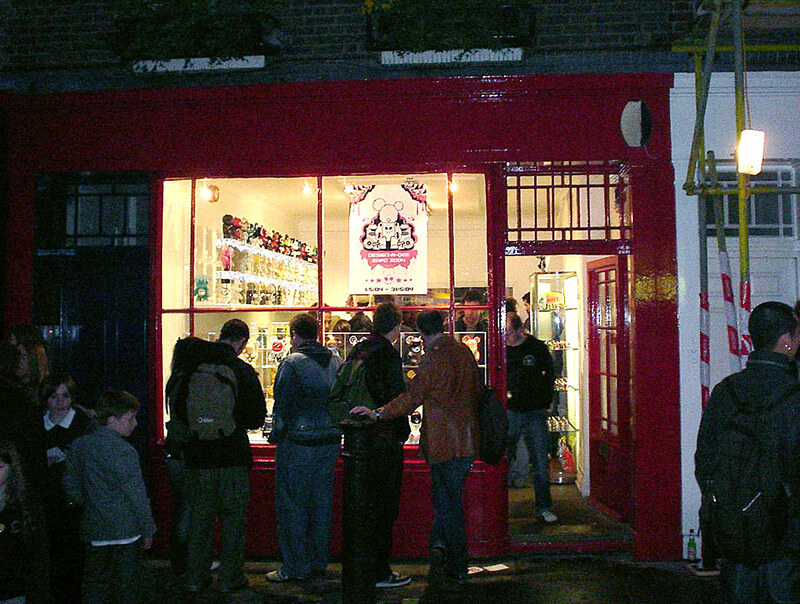 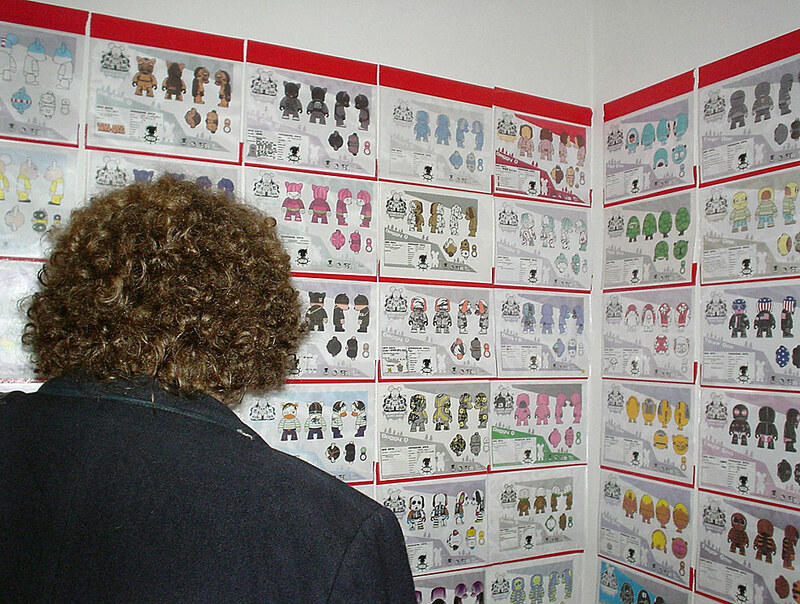 The competition expo was open to the public from 1–31 May 2004, in 6 Newburgh Street, London W1F (parallel to Carnaby Street) and featured all designs submitted to the Design-A-Qee Expo 2004 competition. 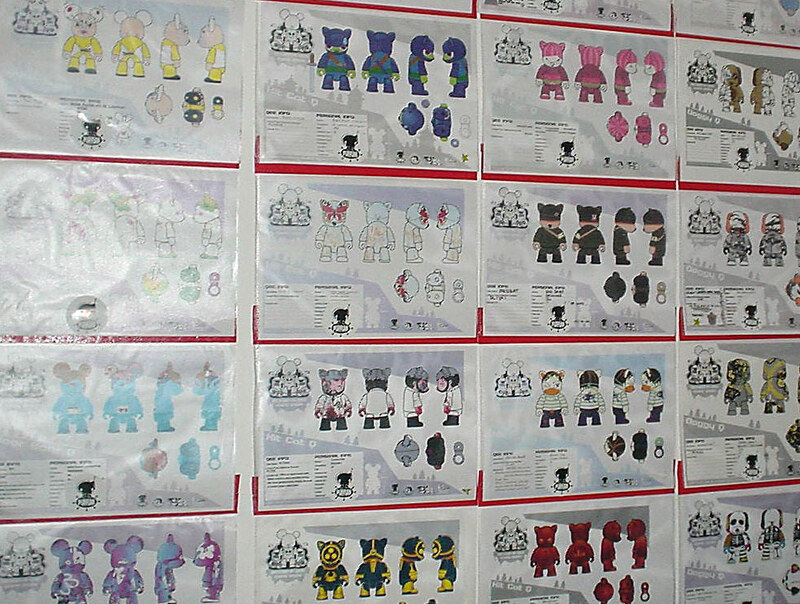 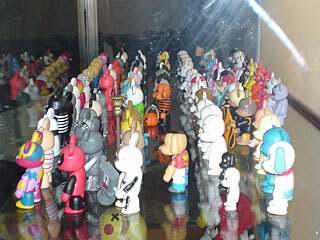 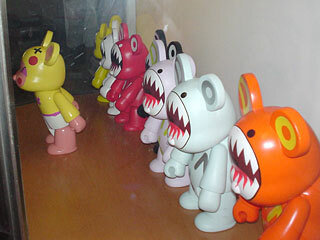 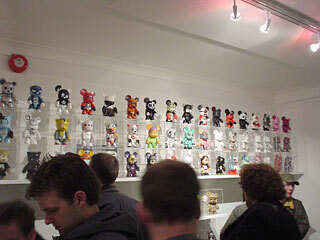 All entries were shown and accompanied by a retrospective of the Toy2R's product range and customised 8" (20.3cm) qees. 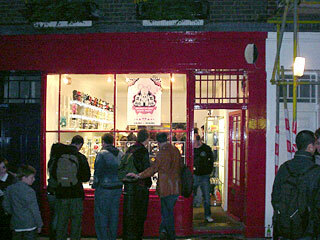 Click here to also see pictures from the private view of the actual launch exhibition that took place at the same location in 2005. 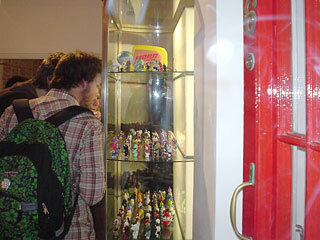 ___ All 20 winning entries were exhibited there – for the very first time – as actual 3D prototypes of the toys. 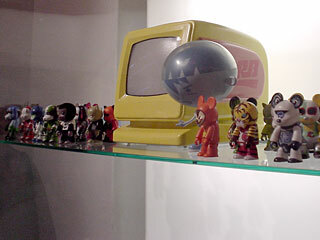 7–19 June 2005, London. 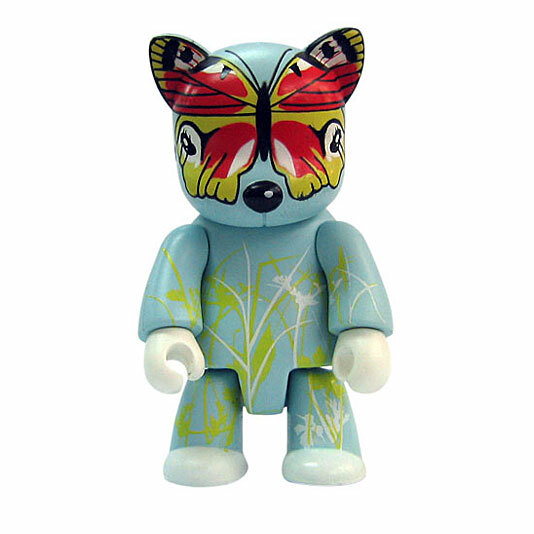 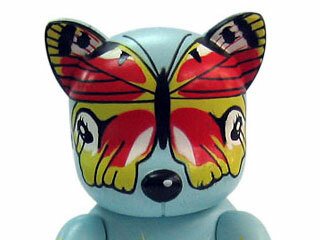 The launch exhibition also included one of our custom Knuckle Bears called Mr Bad Luck.